Can you imagine starting new believers off with the Holy Spirit! What if the first thing you were taught as a newborn Christian was how to connect easily and daily with the Holy Spirit Who was living inside you, anointing you, empowering you and transforming you? Repent, be baptized and receive the gift of the Holy Spirit (Acts 2:38). REALLY! Wouldn’t it be better if Peter had said, "You will have eternal life and go to heaven when you die?" Apparently, Peter believed the preferred focus is on the fact that the Holy Spirit comes to live within us, empower us and anoint us (Gal. 5:25). Jesus modeled this Spirit-anointed lifestyle. He lived in continuous communication with His Heavenly Father (Jn. 5:19,20,30; 8:26,38), and ministered out of the anointing of the Holy Spirit (Matt. 14:14). He demonstrated for us how we are to live and then commissioned us to do the same (Lk.10:1,9; Mk 16:15-20). 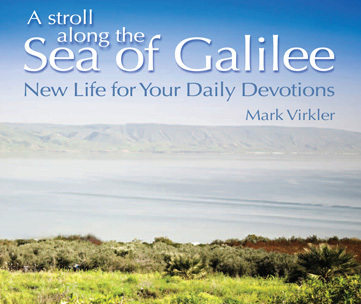 introduces Christians to the Spirit-filled lifestyle (Gal. 5:25). If there was ever one book to give to new believers, this is it! 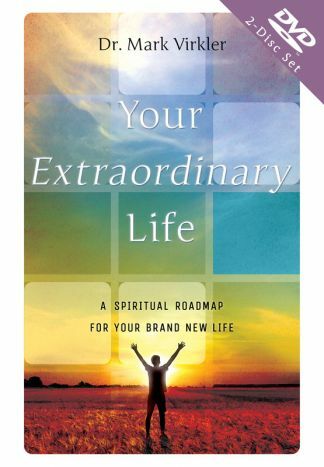 Your Extraordinary Life is for the new believer and even the seasoned theologian! 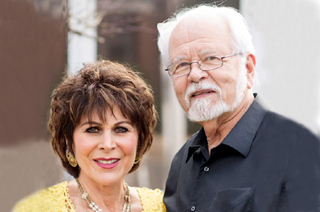 Mark and Patti Virkler have distilled their 30+ years of ministering God’s Love to His people into this 200-page masterpiece. They guide the reader into experiencing the extraordinary abundant life of intimacy with the Source of all Love. Truly an expressway to your brand new life in the Kingdom. What’s covered in this training about salvation? Lordship: The fact that making Jesus my Lord frees Him to also be my Savior and save me from all sorts of messes I would otherwise get entangled in. Power over sin: How to draw upon the power of the indwelling Spirit to overcome sin. Follow God's Laws: The truth that God’s laws in the Bible are always my best choice because they free me to experience an abundant lifestyle. Baptism in the Holy Spirit: The revelation that speaking in tongues energizes my spirit as I speak mysteries to God. Biblical Meditation: How prayerful, biblical meditation opens me up to receive heartfelt revelation. Hearing God's Voice: How to hear from God through two-way journaling. Dream Interpretation: How to see visions and interpret dreams. Miracles: How to pray for and receive miracles of healing. Word Curses: How to remove word curses, unbiblical beliefs and accompanying inner vows. Lord's Supper: The power available to you as you take the Lord’s Supper. Unconditionally Loved: The wonderful truth that I am still passionately loved even when I blow it. Deliverance: How to set captives free by casting out demons. Kingdom emotions: How to experience kingdom emotions of joy and peace in the midst of trials. Witnessing: How to be a witness by seeing what God is doing this very moment, and sharing that. This "salvation training" is a tool that reveals to new believers their inheritance in the Holy Spirit! We believe this training has the power to change the face of Christianity by painting a picture for new (and old) believers of what we receive at the point of salvation. What a wonderful vision to give to new Christians! Let’s promote revival together! A free handout at the altar for new believers. A new believers' class or discipleship program. Even people who have been in the church for a while could benefit from a systematic exploration of soteriology, or the study of our great salvation.